Flooring Installation Services in Toronto | Odd Job Handyman Services, Inc.
A beautiful floor can add not only drama and romance to any space, but it can take your breath away if just done right. Odd Job offers flooring installation services to residential and commercial clients. We can install high quality laminate flooring in your condo living room or tile a new entry in your home. We can replace the vinyl in the laundry room or lay new hardwood in your master bedroom suite. Our handymen are flooring installation technicians and are fully equipped to take on all of your projects, no matter the size. We can also make additional repairs and recommendations as we move through the process, and unlike many other speciality contractors we can take care of those other items on your to-do list at the same time. Now that’s easy! 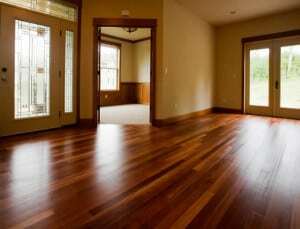 Don’t use water to clean your hardwood or laminate floors, use a specified cleaner that won’t damage the wood or top surface. Vacuum instead of sweeping, this permanently and immediately removes the particulates so they won’t scratch your floors. Re-seal your shower and tub grout once a year and replace your caulking every other year to retain the moisture seal in your wet zones. Here’s a little peek at some of the flooring installations we’ve done. Fill out our online “book-a-handyman” form and watch us give your floors an upgrade! Pingback: 5 Ways Your Handyman Can Help You Live Green | Odd Job Handyman Services, Inc.